Most likely this is the most important convention for people working in dance music industry. Once a year lovers of EDM and IDM gather in Amsterdam for the ADE to present and celebrate their new music and the labels are looking for the next hit and the next breakthrough artist. 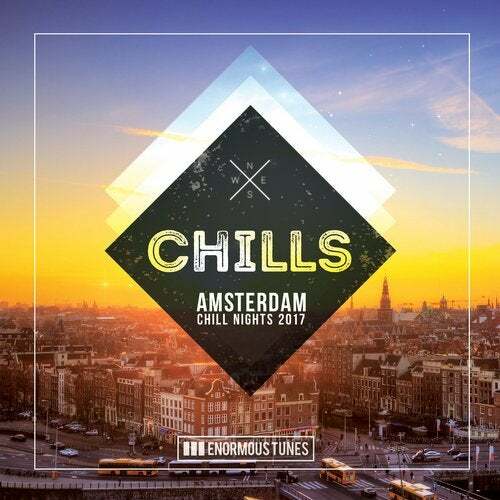 We wanted to compile a little showreel with 4 previously unreleased tracks from some of our artists and create a new annual series called AMSTERDAM CHILL NIGHTS. As part of the 10th anniversary of our mother label Enormous Tunes our in-house buddies of SONS OF MARIA created a remake of DINKA's chill out classic CAMPFIRE. The Zurich based duo from Sons Of Maria kept the sprit of the original track and worked around the signature guitar licks but brought a touch of modern class to the track and created a perfect sunrise anthem for the opening DJ sets. YVVAN BACK & BIGNOISE contribute with a super fresh sounding future gem. Dive into some minor piano chards and punchy beat patterns, as well as some relaxing saxo licks on top. FRANCE based TYNO proofs that it is possible to blend old school progressive house chords with up-to-date future house music. He produced inspiring piece of dance music that can be played for any occasion. The fourth track on the EP is a chilling masterpiece from russian based AL3NE. The talented newcomer comes up with a laid back sounding chill out track to ease and calm our minds.